My paternal grandfather was called Siegmund Drill. He was born in 1872 in the village of Gaubitsch . Later my grandfather did business with my father, Karl, who was born in Laa in 1902, and his younger brother, Ernst. My maternal grandmother, Rosalia Wollman, was born in Gute-Komarom around 1867. She married my grandfather Michael at the end of the 19th century. My mother, Etel, was born in Bad Vöslau in 1905, although her parents lived in Vienna and had a grocery store on Hietzinger Hauptstrasse. 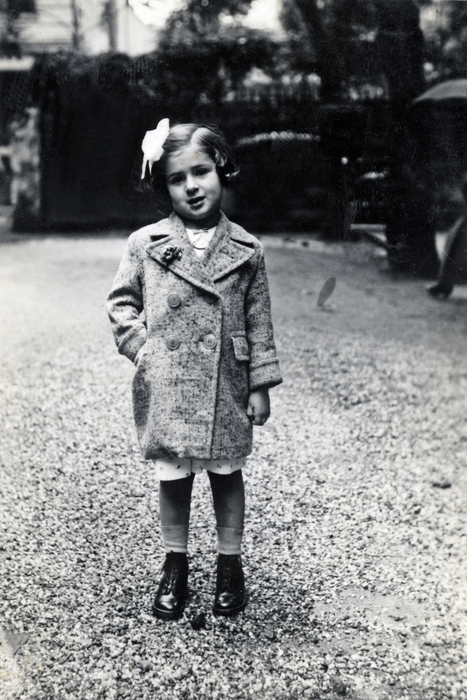 My parents were introduced in Vienna, as my uncle Alexander knew someone who knew my father. Since my mother didn’t have a father anymore, an uncle handled the “negotiations,” including the dowry. 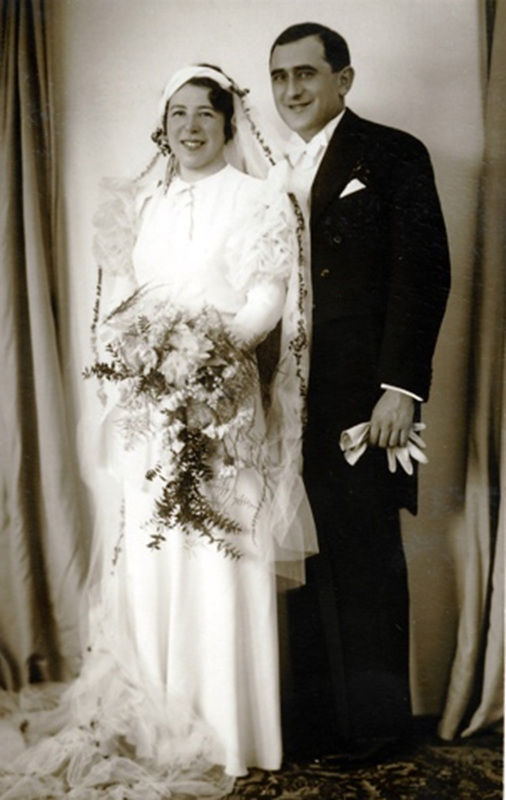 On February 11th, 1934, the day of the February Uprising, my parents were married in the Hietzinger temple on Eitelbergergasse. The honeymoon was in Semmering, at the Panhans Hotel. My parent’s financial situation back then was good – they had a car, which wasn’t a given at the time. They had an employee, two houses, fields, property, and even jewelry. We owned a house with running water and a bathroom. The bath furnace was still heated with wood, but a bathroom like that was something special. In the year 1938, after the Germans had invaded Austria, we had to move from Laa to Vienna, since Jews from the provinces were being gathered in Vienna. There was family and friends of my parents in Vienna, and I still remember all the cousins. At first we, my paternal grandparents, my maternal grandmother, my uncle Ernst and my uncle Alexander, lived in the 2nd district on Praterstrasse, very close to the entrance to Czerningasse. If I was out with my father of grandfather, I was never allowed to stop at the gatherings. As a Jew you weren’t allowed in most of the parks any more, not even the Prater. My cousin Liese was very pretty, around 20 years old, and didn’t look at all Jewish. Despite the ban for Jews, Liese went with me on the merry-go-round in the Prater. My cousin Inge and I were also with my father in the Prater; no one recognized us. My grandfather once went with me along the main boulevard in the Prater, but we were chased away. I can still remember it; I was five years old. I lived with an element of fear, but of course I didn’t understand what was happening. My parents and uncles tried to get entry certificates for other countries. But since there were eight of us, it didn’t work. My uncle Alexander and uncle Ernst could have most easily gotten a permit for England, since they were still bachelors. But the family decided to stay together. There might also have been an option for my parents and me, but not for my grandparents. The old people were a big problem for getting out, since there was no country that wanted them. I think you were considered old in your early fifties back then. 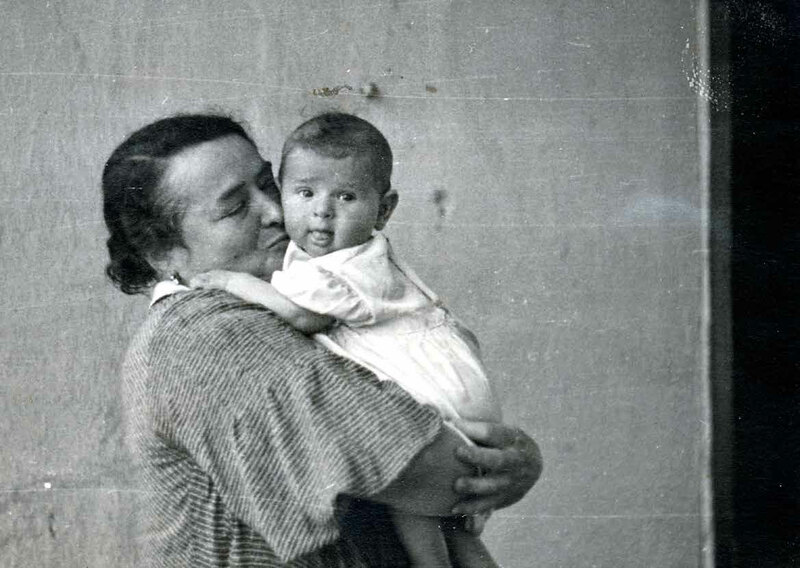 Some of our relatives left their parents in Vienna, who then died in the camps. Eventually we all left Vienna together on an illegal ship that rode down the Danube to the Black Sea. n the Romanian Danube port of Tulcea, we were transferred onto the “Atlantik” in the direction of Palestine. The “Atlantik,” which could have only taken 150 passengers at most, took off with 1,800 people. We had a hand-built bunk under the deck where all eight of us were housed. They said that the passengers on the “Atlantik,” which was now a rundown wreck, should go onto the “Patria” to wash up. My mother said, “we’ve been together ‘till now, and we’re staying together!” But Erna and her daughter Inge went over. They managed to escape from the sinking “Patria,” which was sunk by the Haganah with too many explosives, even though they had only wanted to prevent the ship from being sent to Mauritius with the refugees. 200 people drowned, among them Richard Eisinger, whom I’d played with in our apartment in Vienna, and his mother. Because they had nearly died on the Patria, Erna and Inge were allowed to stay in Palestine, whereas my family was expelled and sent to Mauritius after ten days in an internment camp in Atlit. 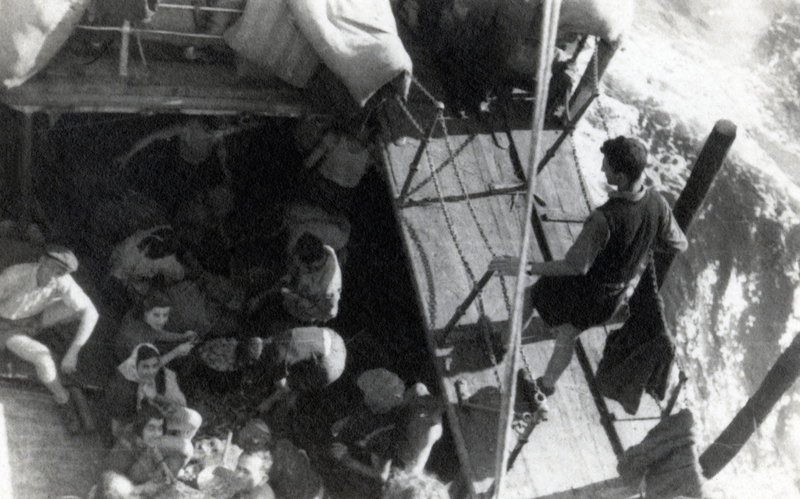 Our ship from Haifa to Mauritius was called the “New Zealand.” In Mauritius, the women and children were housed in Nissen huts with 25 to 30 beds next to each other and mosquito net stretched above them. The men were placed in stone houses. Life in the camp was fun for me. For a time, I even had piano lessons in Mauritius. You couldn’t get really full on the camp food, so my family ran a coffee house in one of the Nissen huts. The children knew that there was war and we were always a little scared. Still, Mauritius was a sanatorium compared to a concentration camp. Up until the moment when I learned from older people and from my parents what all this meant, I wasn’t at all aware of the situation that the people in Mauritius were in. I just grew into it. My grandfather died in Mauritius on March 17th, 1941. Mom went to the funeral. I played in the camp with the children and they waved to me from afar. Of course our goal was still Palestine! The camp was vacated in 1945 and the English allowed us to enter Palestine. We had lived in the camp for four-and-a-half years. We wanted to be near Tel Aviv, since one of my father’s many cousins was living in Tel Aviv. My family found an apartment in Rechovot and I went back to school again. My family was paying for an apartment in Holon that was being built. A few months later, the house was finished and the whole family relocated. My father and my uncle worked hard as shift workers in an English factory, and my mother had to go to people for mending as a way to earn money. She cried the first time she went to work. My father also cried, because his wife had to work, which was a social decline for them. Uncle Ernst was the driving force behind our return to Austria. In Austria our family still had houses and fields, and there was the plan that my uncle and grandmother would go ahead to take a look at everything first. But then my mother died of cancer. 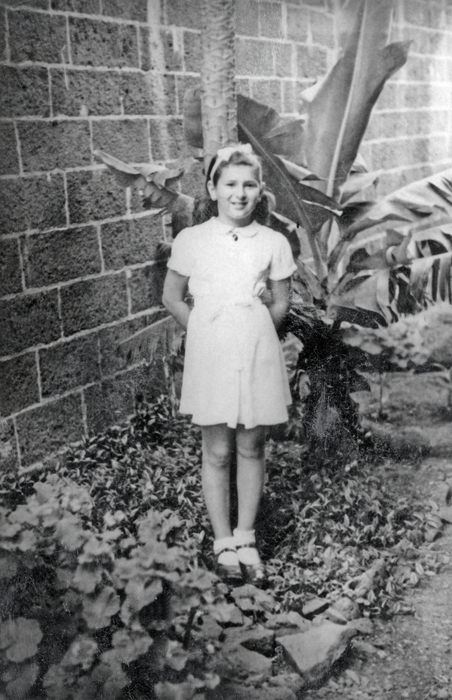 My mother was one of five people in Mauritius who didn’t have malaria, but then in 1947, at the age of 42, she died of cancer within three weeks. It was terrible for me without my mother. 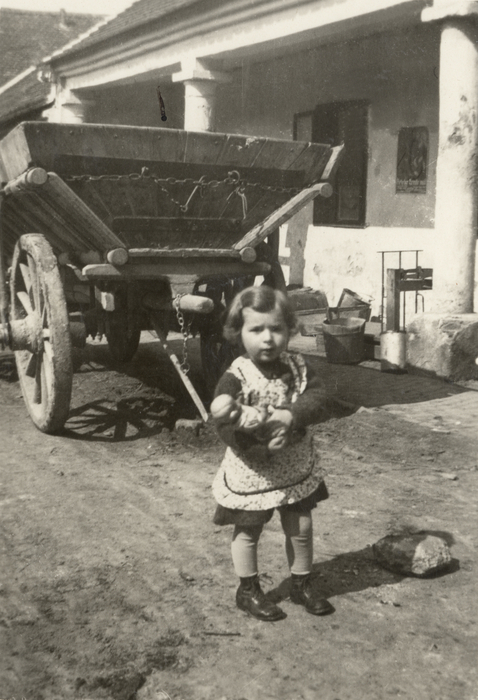 My grandmother Gisela, my father, uncle Ernst, and I relocated to Austria from Palestine in 1947. In Vienna we lived in the 5th district. 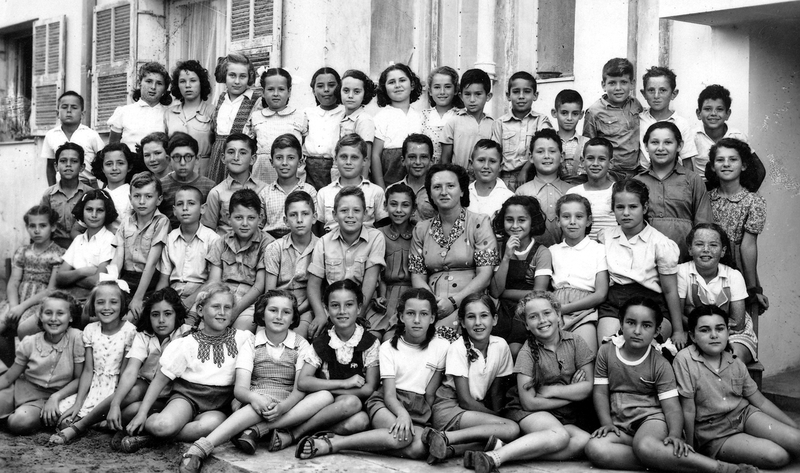 In February 1948 I was able to attend the third grade of secondary school. Then we rented a gorgeous apartment in the 4th district, on Brahmsplatz. 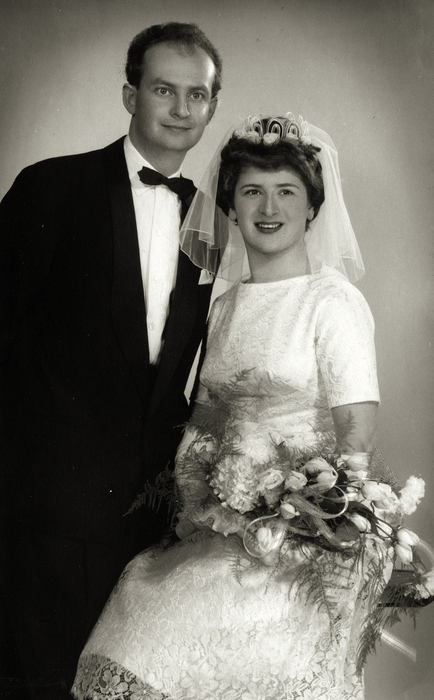 I met my husband, Herbert Schrott, in July 1957. 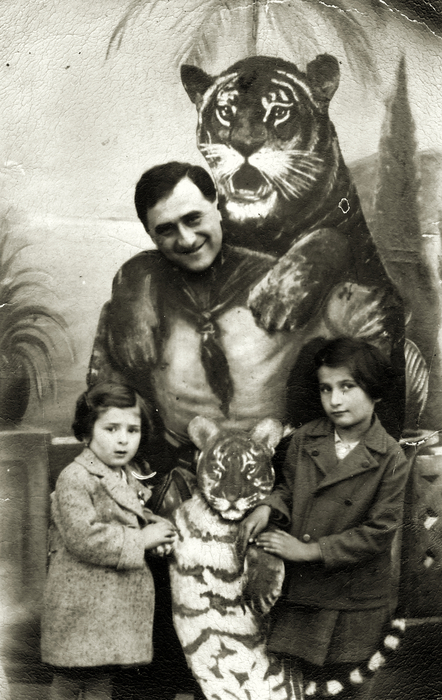 His family was deported to Theresienstadt in 1942 and from Theresienstadt to Auschwitz in 1944. My husband and his father were deported to the labor camp in Doppeln, Bavaria to work. My husband was lucky – he was young and worked in the joinery. I was introduced to my husband. The love grew, and I knew immediately: I had found a partner for life. We have a daughter, a son, and three grandchildren. I don’t feel at home in Austria, I’m only at home in my apartment. Israel would be my first choice if I had to leave Austria, but Israel isn’t a homeland for me either. When we came back to Vienna from Palestine in 1947, we were doing more or less well relatively soon, but this being different from the others sticks with you. Not having a homeland is also something that sticks with you.